Boston has been waiting a long time to hear Maurizio Pollini; it has been nearly four years, I think, since his last concert date here (he canceled a few due to illness, and has reportedly reduced his current schedule to conserve his strength). So you could feel an eager anticipation all but brimming in the crowd that filled Symphony Hall last weekend for his Celebrity Series appearance. And it was no surprise that the huzzahs and bravos started early - perhaps too early - for this much-loved Italian master, whose program opened with Schumann but soon centered on Chopin. Not that Pollini didn't charm from his first appearance. He looked slightly frail, but determined, from his first steps onto the Symphony stage; and throughout the concert he evinced a sense of gallant dismissal of any concerns over his well-being. We were here to hear the music, he was there to serve it - that was all; an attitude much in keeping with the civilized control that has long been the hallmark of this elegant romanticist (who's also a modernist, classicist - and impressionist). And to tell true, his touch has lost none of its storied sophistication; Pollini can still call forth trumpets from the keyboard, or coax it into showers of pearls (he travels with a remarkably responsive Steinway customized by craftsman Angelo Fabbrini). And rhythmically, Pollini still renders his ruminative passages with a subtle syncopation that I think will always fascinate. What he couldn't do last Sunday was hang onto these qualities at the speeds he brought to his Schumann - or at least the passages of the demanding Kreisleriana inspired by "Florestan" (Schumann's impetuous alter ego, who vies with the introverted "Eusebius" in much of his work). Pollini was on firmer footing with the tender rendering of the familiar Arabesque (Op. 18) that opened his program, although even here he teased with tethered energies only barely kept in check. He let the reins slip entirely in Kreisleriana (Schumann's landmark psycho-musical profile, supposedly of the imaginary composer Kreisler, a character from E.T.A. Hoffmann, but actually, as usual, of himself). Which was to be expected to some degree, as the composer labels every other movement as agitated, lively or fast; but Pollini couldn't keep up with the pace of his own Florestan, as it were; too many notes were lost, and the tricky intricacy of some cascading passages became a scampering blur. Eusebius remained in fine, softly haunting shape, it's true; but the overall effect of Schumann's convoluted portrait was a muddy one, and I found myself in a trouble state of mind at intermission. 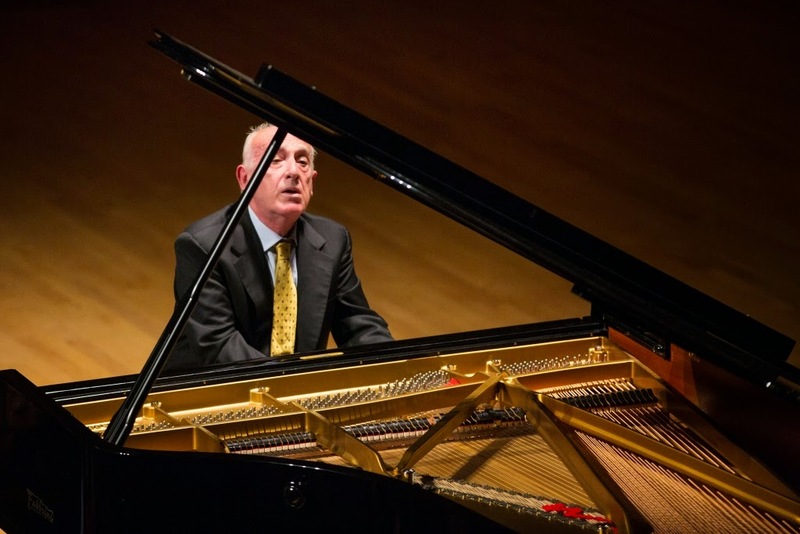 Pollini's turn to Chopin, however, marked the return of his mastery. The interpretation of this greatest of pianist-composers has always been one of his specialties, and decades of exploration were evident in his delineation of subtle architectures, and the sense of balanced development unfolding through contradictory episodes. And the sophistication that sometimes shone in the Schumann here acquired a tragic weight - or at least it did in Pollini's gripping reading of the Second Sonata, which featured a Marche funèbre whose relentless, devastated grandeur was poignantly fresh in his confident hands. One triumph then followed another. The beloved Berceuse was particularly inspired - gentle gusts of feeling seemed to rock its familiar cradle with an affectionate ebb and flow, as Pollini sprinkled arpeggios over the murmuring melody like so many kisses. In a very different key, the familiar Polonaise in A-flat Major proved rousingly epic: its stammered fanfares were clarion - with Pollini all but bouncing on the bench during their commanding returns - and the rushing octaves of its "locomotive" interlude - this time clear and controlled - evinced a powerful sense of history's unstoppable momentum. The crowd understandably went wild for this tour de force - and I had to agree; taken together, these pieces amounted to the most heart-breaking Chopin I may have ever heard in performance. And happily enough, like many an old master, Pollini had a series of ravishing encores up his sleeve: a gorgeous Nocturne in D-flat major (Op. 27, No. 1), followed by a brilliant Scherzo No. 3 in C-sharp minor (Op. 39), arrived in short order, like gifts. The crowd called the pianist back to the stage again and again, but this time Pollini only took a humble bow, the promise of his mastery once more fulfilled.